Tons of laughs and fun in the sun are held right outside our house. The backyard is where spring and summer memories are made for the whole family. We want this to be a place where our pets and children are completely safe. 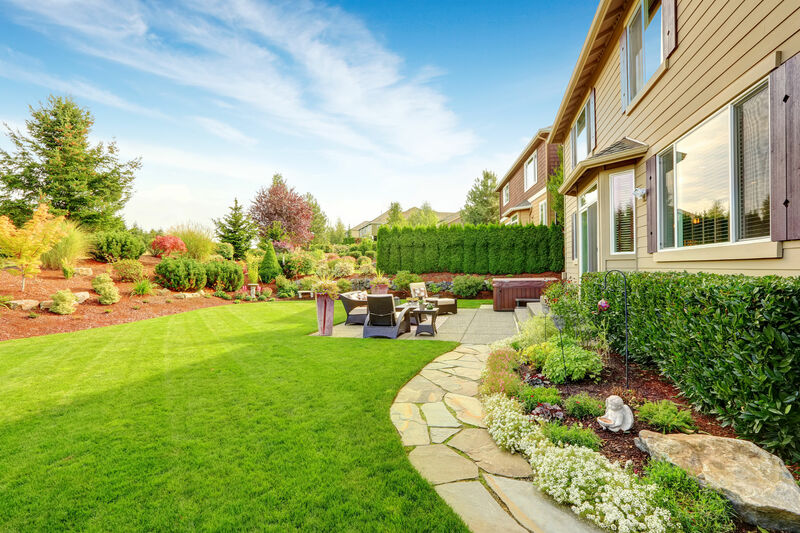 Let’s go over some important tips for keeping your backyard a place where kids and pets can run free and enjoy themselves! Have you done spring cleaning for your yard yet? If you haven’t, tools might be laying around in the grass. Check around your yard, deck, pool, and swing set to see if any gardening or cleaning utensils are still there. Kids and pets are always adventurous but don’t take time to watch where they’re going. Make it easier on your spontaneous children and make a clear path for them around the backyard. Window wells are a necessity for your basement, but can be dangerous for small children and pets. If your window well is wide open, it’s only a matter of time before your curious fur baby or kid accidentally falls in. A simple solution is getting a window well grate or cover. Our window well covers are meant to last and hold up to 400 pounds. Unless you have an abnormally large animal as a pet, your children and pets will be completely safe. Although plants and flowers can transform a dull backyard into something stunning, certain plants can be dangerous. Let’s be honest, children put anything into their mouths. They might accidently swallow a petal or two. Some plants might cause an upset stomach such as holly, juniper, morning glory, and amaryllis. Before planting, make sure you research the plant you want to use. Your pets don’t care what goes into their mouths either. Anything is food to them! There are specific flowers that are extremely poisonous to our fur babies. Some plants to stay away from are azalea, autumn crocus, lilies, oleander, and daffodils. There are many more that can be harmful to animals. Before gardening, look into what plants can harm your beloved pets. A pool is the life of the party! People love enjoying beautiful sunny days laying on a raft or swimming in the pool. Even though it’s a lot of fun, there are safety persuasions to take if you have pets or small children around. 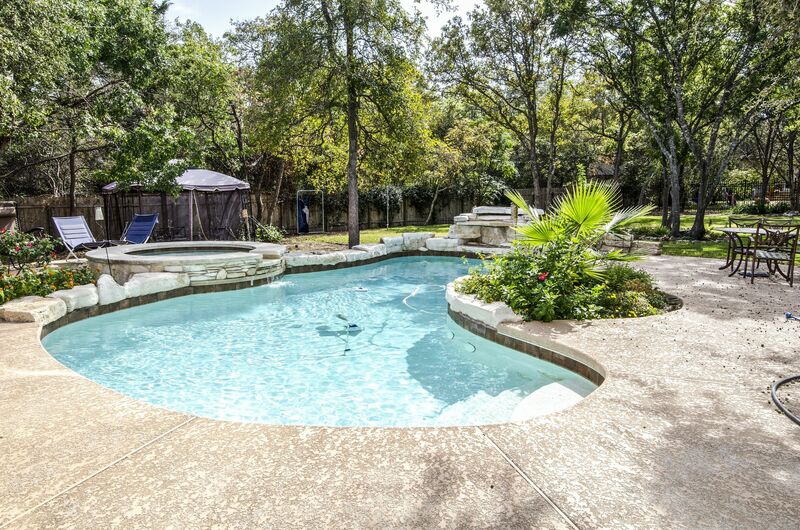 Making the choice to get a pool means that you accepted a large amount of responsibility. This means, you or another adult needs to be at the pool if children or pets are present. Drowning is a major cause of death in children, and is something that can be easily prevented. Keeping your eyes on your pool at all times when kids are playing and dogs are running around is a responsibility you must accept. With your new job as a lifeguard, make sure that no one is running. This goes for your pets too. Children are clumsy and can easily slip, hit their head off the concreate, and fall in. You don’t want that to happen on your watch! Many jurisdictions demand a fence around your pool. This will keep pets and kids from causing trouble in the pool when you’re not around. When building the fence, think about the safety gate and make sure children can’t easily get in. Dogs and cats can jump pretty high, the height of the fence is important as well! Make your backyard the safest and most enjoyable place to have your family, pets, and friends hang out! Follow these simple tips and spend more time having fun than worrying! Yes they might take some time, but they will ensure your loved ones safety!